Last week when I realized OUTLANDER was ending mid-season I decided to read the book. I knew I would want to know what was coming next. Having purchased the book earlier this year made that possible. When I mentioned to my mom about starting the book she offered her kindle so that I could listen to the audio version. I basically spent the next 4 days wearing headphones. The moment Jamie appeared in the book the headphones were never taken off except to sleep and shower. I’m pretty sure if I had of tried to read this prior to watching the tv show I would have given up because the beginning of the book is pretty boring. The tv show enhanced the beginning of the book by making it come alive and cutting out all the extra stuff in the book that drug on (like the talk about herbs, etc). I’m aware the tv show is not an exact replicate of the book and I’m thankful it’s not. 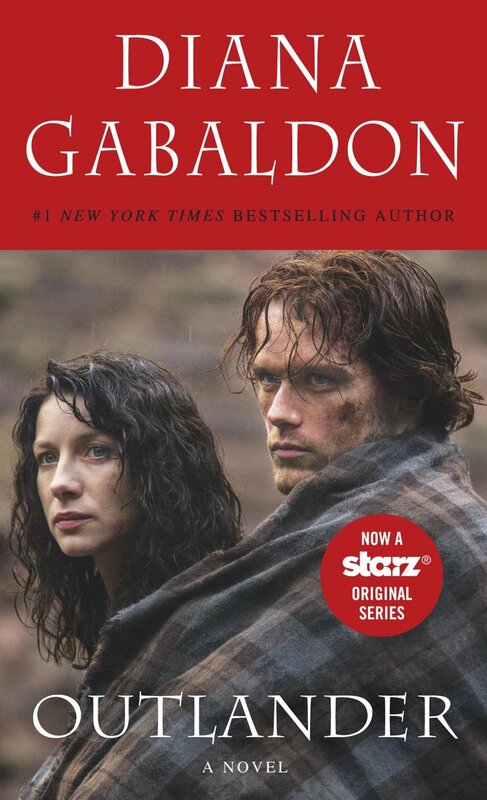 The book is told in Claire’s pov, while I enjoy her pov, I do feel the addition the tv show offers makes the overall experience even better. A couple weeks ago I called my mom to tell her about an amusing part in the tv show and she mentioned she didn’t remember reading that in the book. So while I read the book I looked for that scene and I found it wasn’t included in the book. Even though it wasn’t there I thought that scene added a much needed amount of humor. I happy sighed through this whole book every time Jamiespoke. ♥I love that man! ♥ Jamie was a scene stealer. I’ve never hated any book character as much as I hate Captain Jack Randall. Just thinking about him right now is getting me all worked up. Maybe it is the name – Randall because in Monsters, Inc. the Randall character was evil. Something to ponder. Okay, “Randall” isn’t taking anymore space on my review. . While I wait for the return of the show in April I will continue on my reading journey. When the show returns I might have to watch some scene with my eyes shut so I can survive what is to come to Claire and Jamie. WATCH and READ this series!